Clinton wasn’t the last — nor arguably even the highest-profile — figure to honor Watson, the Appalachian singer, songwriter, and guitarist who died Tuesday at age 89, but his words underscore Watson’s heavy influence on American music. Watson passed away in a North Carolina hospital, his manager told CNN. He had recently undergone abdominal surgery. Along with the National Medal of Arts, Watson won multiple Grammy awards, including 2004 Lifetime Achievement honors. 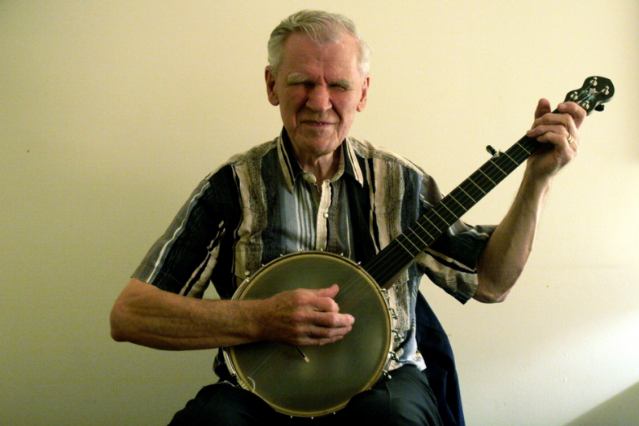 Bob Dylan, who himself just received a Presidential Medal of Freedom, once was quoted as saying of Doc Watson that “the fellow can play the guitar with such ability… just like water running.” Watson’s passing follows the recent death of banjo virtuoso Earl Scruggs, another folk pioneer, at 89. Watson’s discography spans more than 50 albums, and you could spend an eternity on YouTube absorbing his legacy. Watch a few exemplary videos below.